Ruling the Country by Red-letterhead Documents? 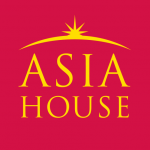 Home /China, Government/Ruling the Country by Red-letterhead Documents? Written by George G. Chen and Matthias Stepan. The “intra-Party rules and regulations” of the Chinese Communist Party (CCP) are taking on a preeminent role of “law” in China. In China, all levels of Party organizations of the CCP may issue official documents that start with a printed “red-letter head” marking the source of authority. The most significant CCP documents are often drafted in the name of the Central Committee of the CCP (CCP CC). Some of these documents have either changed the rudimentary routes of the state or set fundamental guidelines for China’s economic reforms. Virtually, such CCP documents have had profound impacts on the development of the entire nation rather than only on the Party itself. Every year, the CCP CC issues at least 50 to 100 documents covering all policy areas. These documents will be circulated only to the most relevant Party-state organs in a timely and often confidential manner. A small part of these documents is accessible for everyone and literally binding for all Party members. A Party document explicitly refers to certain binding CCP documents as “intra-Party rules and regulations” (党内法规). Though they are not legally binding rules of the country in the sense of a “law” or “regulation”, these CCP documents will help adumbrate China’s future legislative trends, interpret China’s existing laws or judicial practice, and understand the behaviour of CCP members. Literally, the so-called “intra-party rules and regulations” are not binding for legislators. Instead, the CCP does so through political and institutional arrangements. 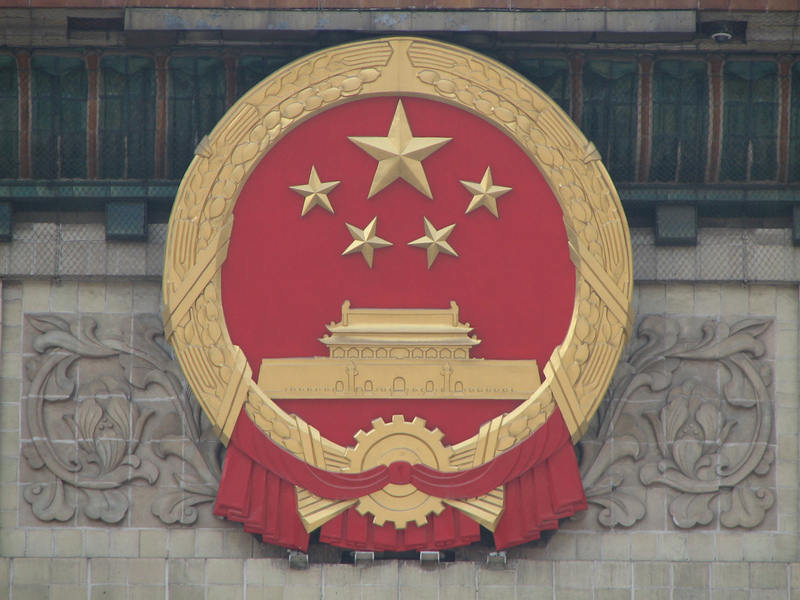 Above all, the CCP may suggest candidates for key legislative positions such as members of the Law Commission of the Standing Committee of the NPC. Besides, the CCP may initiate bills by advocating amendment of intra-party rules and regulations first. For instance, the CCP issued the comprehensive second-child policy in October 2015, which contradicted the then-applicable Law on the Population and Family Plan. Since most legislators are also CCP members, however, they initiated a legislative proposal to amend the law at the NPC and had the law revised in this regard in December 2015. In interpreting laws by the CCP’s guidelines, Party organs and state organs don’t always coordinate well to allow a uniform set of rules to work. For example, a 1994 document allowed certain CCP cadres to investigate one’s bank accounts and order a bank to stop payment in such cases. However, the laws of the state rendered this stipulation virtually invalid. In 1998, the Supreme People’s Court and the Ministry of Supervision issued explicit stipulations defining supervision departments as the exclusive authority to take those said measures. But it was not until one year later that the General Office of the Central Commission of Discipline Inspection issued a notice acknowledging this. Still, other CCP documents concern CCP cadres’ daily behaviour and the organizational principles of the Party. For instance, the CCP may issue “discipline sanction regulations” that imposing stringent self-disciplines on Party members or rules concerning “democratic life meetings” that requested them to deal with political examinations of their thoughts and life style regularly and seriously. To meet political, economic and societal challenges, the CCP CC and the State Council often jointly issue documents involving a multitude of policies. In the eyes of the CCP, these documents are effective instruments of carrying out policies of the top leadership both within and outside of the Party. Existing laws and regulations often fail to address certain issues in a timely and down-to-earth manner. By contrast, the unique instrument of Party documents has the advantage of making timely arrangements to deal with constantly changing conditions in economic and social reforms. There is an underlying concern about the legitimacy of Party documents, though. “Separating the Party work from government work” has been one of the ambitious long-term goals envisioned by Deng Xiaoping despite little progress in practice. Xi’s predecessors embraced a vague (if not a weaker) role of the Party in managing state affairs. However, since Xi took over the helm of the CCP, the Party has assumed a far more preeminent standing in overseeing China’s project of “governing the country by law”. CCP norms and the existing laws often regulate overlapping affairs such as the management of government officials. For example, under current laws, peasants can’t “sell” their land directly to real estate developers. A CCP document in late 2016, however, renders such practice possible per se. Besides, CCP norms and state laws may not be always mutually consistent. For instance, the current laws stipulate that local people’s congresses “are entitled to discuss and determine important matters such as … in their respective administrative regions”. However, even after an amendment in 2015, CCP regulations reiterate the power of local Party committees to make decisions on important issues in the region. It is completely unclear how to differentiate such decision-making power of the local Party committees from that of the local people’s congresses. In most cases, the process of issuing CCP documents is totally opaque and only a few CCP documents are available to the public. In 2015, the NPC amended the Legislation Law and explicitly added the principle of “openness” in the lawmaking process. This means that if the CCP wants to turn the spirit of its documents into state laws, it must also render the process of issuing such documents more transparent. Otherwise, implementation of the CCP’s policies through any norm-setting activities would be unsustainable. As early as in 1986, Deng said, “it is inappropriate for the Party to be directly in charge where the law is supposed to work”. Yet in Xi Jinping’s recent military parade, the CCP flag was placed in front of all the other flags, though the law requires that China’s national flag stand in front of any other flag under all circumstances. It might be a symbol for the new role of the CCP under Xi Jinping: the Party demonstrates its guiding status more openly, including the superiority of the norm-setting functions of its documents to that of the state. Ultimately, this open defiance of the laws is problematic, as it hollows out the belief in the “rule by law” initiative pushed by Xi himself. After all, it is all too obvious that rules set by the CCP may override laws of the state at any time. George G. Chen is a legal expert on China’s judicial system and legal policies at the Mercator Institute for China Studies. He is the author of “Copyright and International Negotiations: An Engine of Free Expression in China?,” a monograph published in 2017 by the Cambridge University Press. He has held academic and research positions in Oxford, Cambridge and Göttingen, and has advised the Chinese and European governments on a variety of legal projects under the Sino-EU-Dialogue of the State of Rule of Law. Matthias Stepan is the head of the research programme on Chinese domestic politics at the Mercator Institute for China Studies (MERICS). He is an expert on policy-making processes and China’s state-party nexus. His research focuses on the changing role of government and the transformation of China’s social security system. For further information please see the recently launched MERICS Digest of Selected CCP Documents. Image Credit: CC by Chris Price/Flickr.